4 Star Georgian House B&B in South East Ireland. 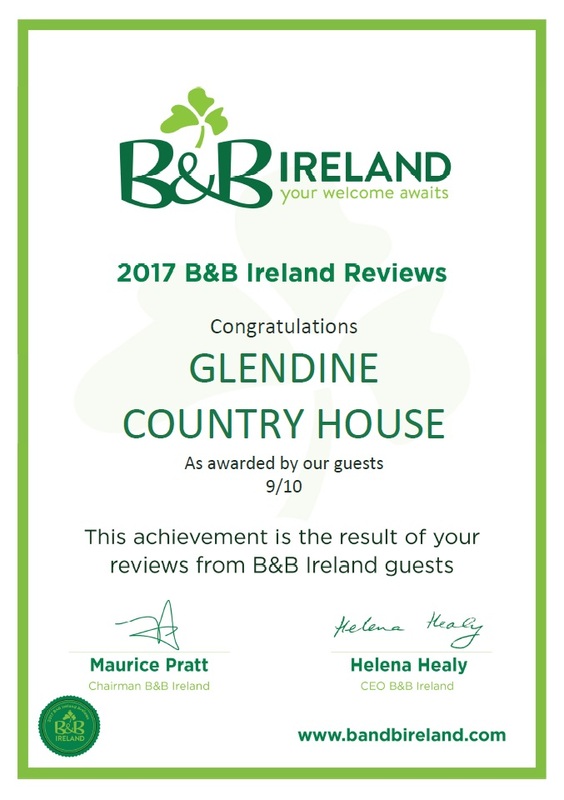 Glendine Country House was originally built in 1830 and completely refurbished in 2010. Located on the Hook Peninsula, we are 10 km. from the famous Waterford Crystal Factory – and you are close enough to Kilkenny, Wexford and Waterford for a day of exploring the wonderful South East coast of Ireland. We are approx. 2 and half hours from Dublin via M11/N11 and R733. Only 2 hours from Cork via N.25. We are about 25 mins from Waterford city via Car Ferry and 35 mins from Wexford town. 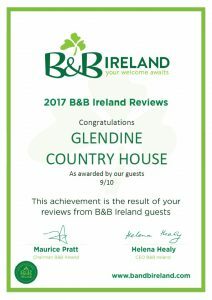 We are Pet Friendly and dogs may stay in bedrooms with their owners under supervision and we have plenty walks locally or can walk on the grounds at Glendine House. 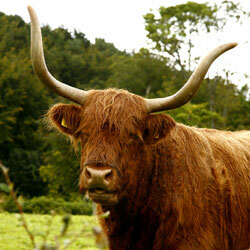 Glendine is situated in 50 acres of private gardens and paddocks where you can see animals strolling around. Family run, the house has been in the family for over 70 years and Ann & Tom opened their home as a bed and breakfast nearly 25 years ago. The luxury spacious accommodation have sea views and are furnished with antiques and also have T.V., wi-fi, chandaliers in each room with a waterford crystal chandalier in the main entrance. Our secluded gardens provide a tranquil sanctuary for those looking to relax. You can see Jacob Sheep, Highland Cattle (the ones with the curly horns) and Fallow Deer in the nearby paddocks around the house. Wexford is known as “The Sunny South East” and definitely is one of Ireland’s best kept secrets where the sun shines at some stage every day! !